Death is as much a part of life as birth. You can learn so much about a civilization based on how they mourn their dead. Their values, religion, family life, and even their level of prosperity is sowed into these traditions and rituals. Unlike most of the pagan societies around them, the ancient Hebrews valued life, and this was evident in their funerals and bereavement. Many of the rituals were taken from the Mosaic law, but some were just tradition passed down through many generations. Upon hearing the news of a death, the loved ones would often tear their clothes, throw dust on their heads, or even sit in piles of ashes. When David heard of the death of his son Absalom, he tore his clothes and lay on the earth. (II Sam. 13:31) Sackcloth was a special cloth made of goat hair. It was very uncomfortable to wear as it was rough and plain. Mourners would often don this material to evidence their inner pain. It is unclear where this custom came from, but it is mentioned in Job, the oldest book of the Bible. Obtaining from food and even water was also a common aspect of mourning. On the day of death, the mourners would not eat. At the end of the day, they would not prepare food for themselves, but their friends would serve them and offer them what was known as the 'cup of consolation.' This is possibly where the tradition of bringing food to the family after a death originated. 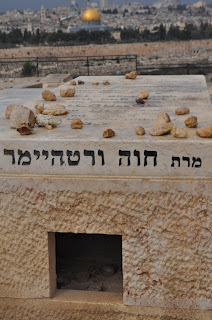 Burial Site outside of Jerusalem. rather than flowers to adorn memorials. The Hebrews view the body as the "temple of the soul" therefore they always bury their dead. Cremation is looked upon with horror. Their belief in the resurrection also contributes to this thought process. Modern Jews are still this way. The Chabad.org website states their view very well. "Six million of our people were denied proper burial, most of them cremated. Should we willfully continue that which our enemies began?" Depending on the financial status of the deceased, the body may be entombed or buried beneath the ground. The Mosaic Law dictates that one who dies must be buried the same day. This was probably a smart idea when you consider the hot climate Israel inhabits. (Deut. 21:22) This law also applied to criminals, which is why Jesus and the two thieves were killed and removed from the cross before the Sabbath. 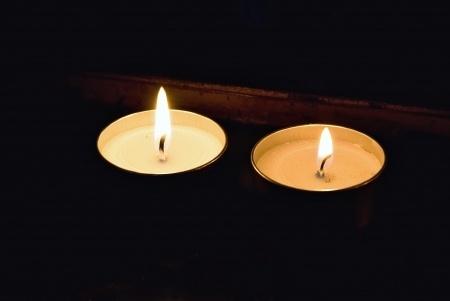 Hebrew funerals typically consist of a eulogy, Psalms, and Scripture readings, lasting around 20 minutes. One very special element of a funeral is that in some instances, a poem or psalm would be composed to honor the deceased. One example of this is David's psalm for his friend Jonathan in II Samuel 1:18-27. The one thing that stands out most to me about the procession and traditions of Hebrew funerals, is the respect of the dead, and their value of life. If the deceased had left wishes regarding the funeral, even if they are contrary to tradition, those wishes were to be honored. This exhibits a lot of respect and honor that is lacking in our culture today. 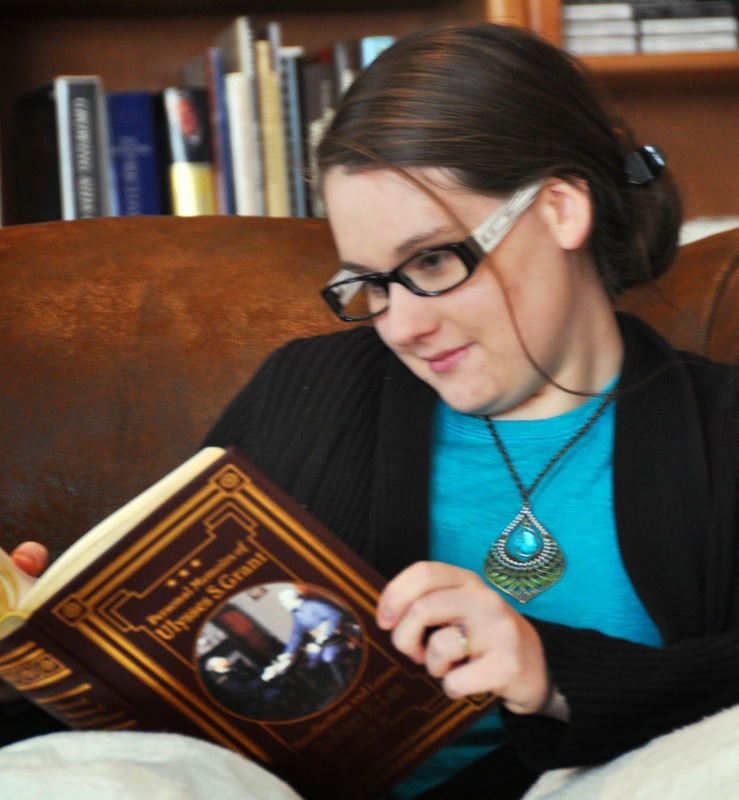 Amber Schamel writes riveting fiction that brings HIStory to life. She is the author of the Days of Messiah Series and the Amazon bestselling Christmas novella, The Swaddling Clothes. Visit her at www.AmberSchamel.com. Yes, it has more to do with their belief in the Ressurection than anything, so it actually made the Holocaust that much more horrific. This was an interesting post. 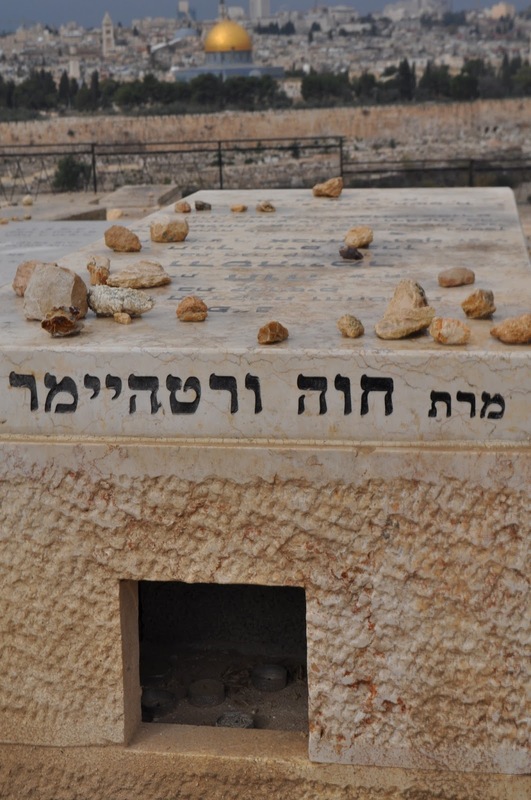 I lived in Israel for a year--many years ago--but fortunately, I never had to attend a funeral. I did get to witness a wedding though. How neat it must have been to live over there. What part?